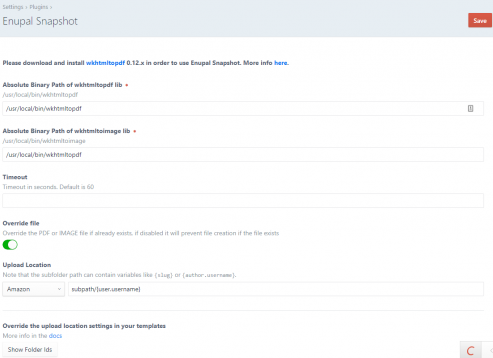 Enupal Snapshot doesn't need that you have installed wkhtmltopdf in the server, it just needs the full path of the wkhtmltopdf and wkhtmltoimage bin files. We can download it via the command line and get the full path from there. 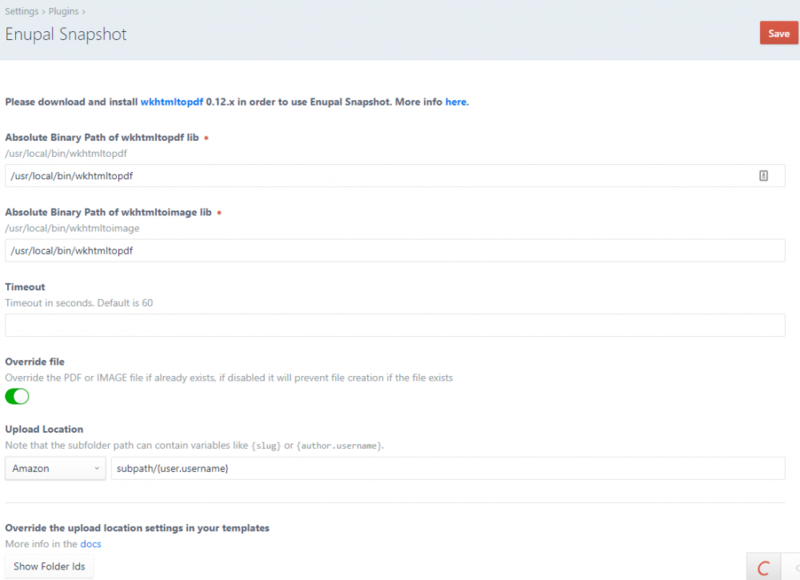 Copy the wkhtmltopdf and wkhtmltoimage bin files paths and paste it to the Enupal Snapshot settings. Find the bin folder, in that folder, you'll see the wkhtmltopdf and wkhtmltoimage files. Here you can copy the path and paste it in the Enupal Snapshot Settings. If the wkhtmltopdf path is not correct you'll see and "Wrong path" error.